This volume brings together contributions to the topic of free will during the second half of the 20th century as well as some cutting-edge research. 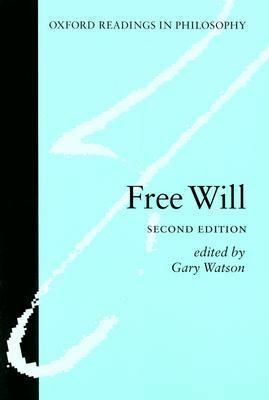 Topics explored include the relation between free will, and responsibility and various accounts of the capacity for free agency.Watson, Gary is the author of 'Free Will', published 2003 under ISBN 9780199254941 and ISBN 019925494X. Loading marketplace prices 18 copies from $10.70 How does the rental process work?